Proper intoxicated/intoxicating synth/percussive works from Rob Lowe of Lichens/Om - sounding somewhere between Nate Young, Raster Noton, Rainforest Spiritual Enslavement , Rhythm & Sound, Grouper, AFX and Popol Vuh - so good. 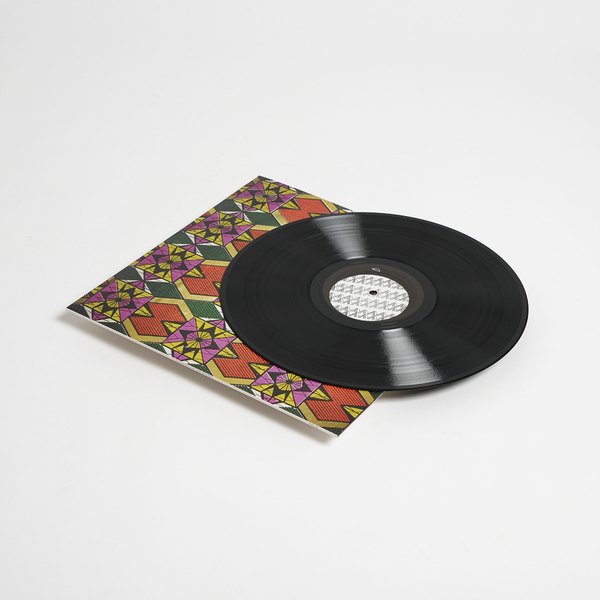 Visionary neo-tantric synth minimalism and Afro-futurist rhythms from Robert Aiki Aubrey Lowe, making his solo debut outside of revered work as Lichens and a sometime member of Om. 'Timon Irnok Manta' marks the start of a compelling new trajectory for Lowe, one which promises to uproot drone music and give it new coordinates by seamlessly incorporating a wider palate of influence from dub and techno in a way which has, arguably, not been explored before, or to this extent. This first instance was based on fabled British sci-fi series 'The Tomorrow People' and takes form as two side-long compositions. 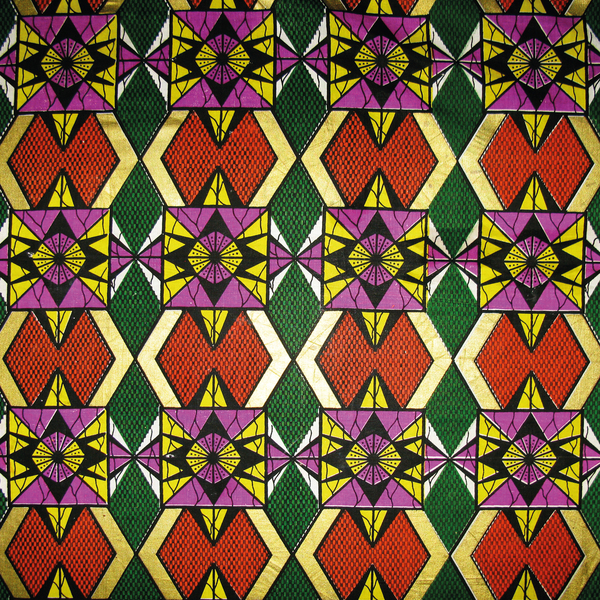 The A-side 'M'Bondo' connects his contemporary practice with more ancient rites, explicitly alluded to in the record's African print artwork and title; waves of mesmerising modular synth layer and accumulate a dark, wyrd energy not dissimilar to the recent Rainforest Spiritual Enslavement releases, but with a freer, subtly unstable element precipitating infectious, purposeful pulses and rhythms - before we know it we're twitching and grooving to a plonging bass cadence (you don't dance to drone records we hear you say! 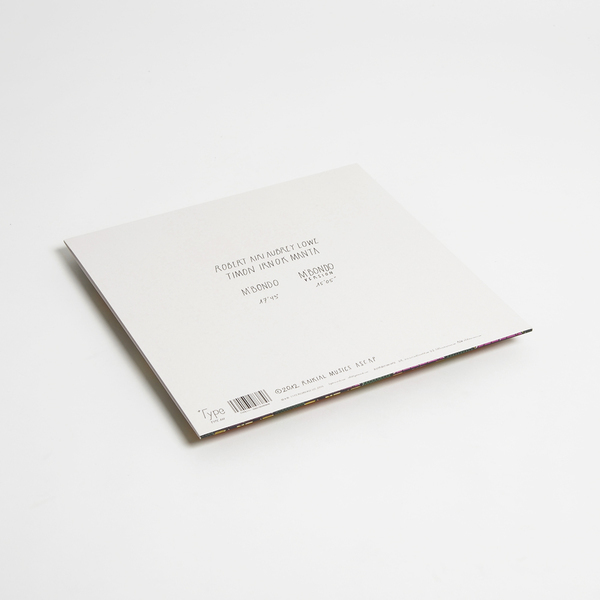 You might to this one) which builds and roils like Nate Young meets Frank Bretschneider while maintaining a cosmic poise all of his own making. 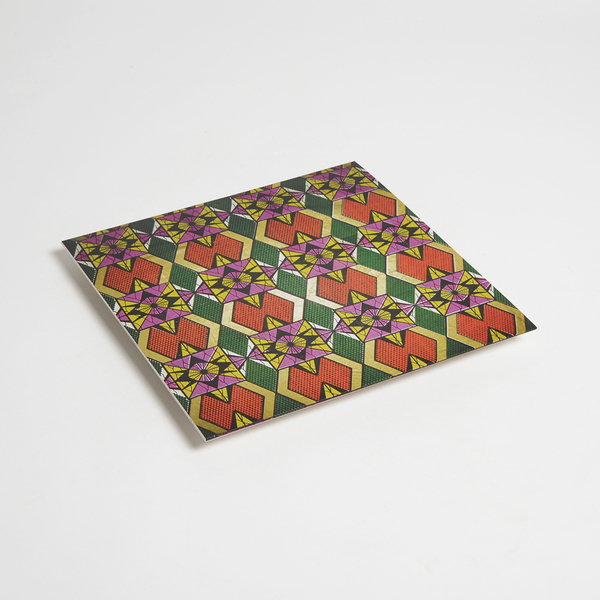 The spellbinding B-side 'M'Bondo (Version)' builds on this sound beautifully, adding layers of his own vocal - sounding some way between Grouper, AFX and Popol Vuh - to a mixing desk-carved dub rhythm more akin to one of Mark & Moritz's most depleted Rhythm & Sound versions than any of his peers, and eventually giving birth to a quizzical synth spume a la KFW which recedes and flickers thru the skeletal structure like some nano-bot organism performing esoteric duties.